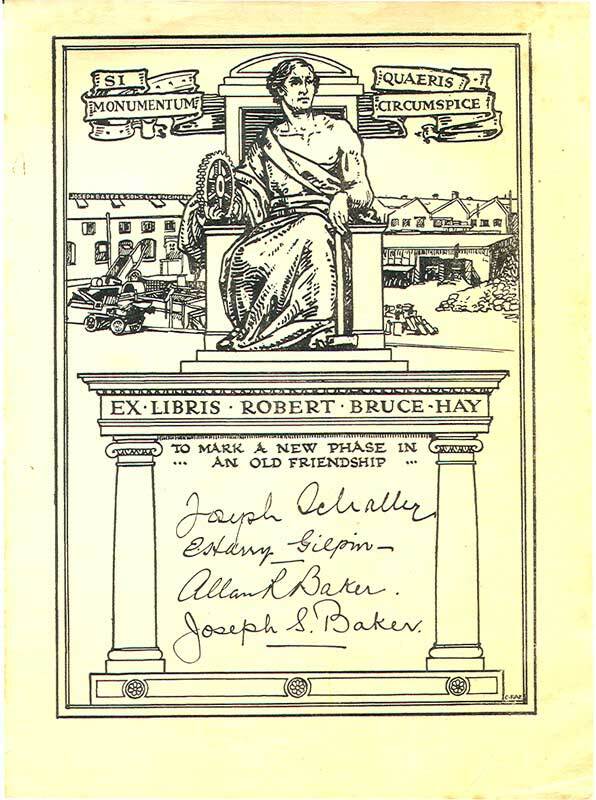 Exports had been important to Joseph Baker & Sons long before the first World War. One of the key export salesmen working for the company at that time was Robert Bruce Hay who blazed the trail for Baker Perkins in South America. He has been described as the most colourful personality the Group has ever employed. He had joined the firm to work in the tin shop, managing to gain knowledge of engineering at night classes. He soon caught the eye of Joseph Allen Baker who sent him out to erect a biscuit plant in South America. During his first period of employment at Joseph Baker & Sons his exploits were legendary as he would sell anything to make an honest cent. He caused Willesden to build a crematorium in Brazil that never worked; he sold two river steamers, startling the directors at home, but the vessels were duly delivered; he arranged the lighting of a town; and organised a hotel in Santiago as a hospital in a yellow fever epidemic. He did, however succeed in selling biscuit plants into Argentina, Chile and Brazil. Joseph Baker & Sons were showing their machinery at the 1890 exhibition held in Santiago, Chile. Robert Bruce Hay was in charge of the equipment but this had just closed when an insurrection broke out., with all the seaports blocked by a rebel fleet. He had to move quickly but, since it was impossible to board a ship, he had to turn east towards the Andes. 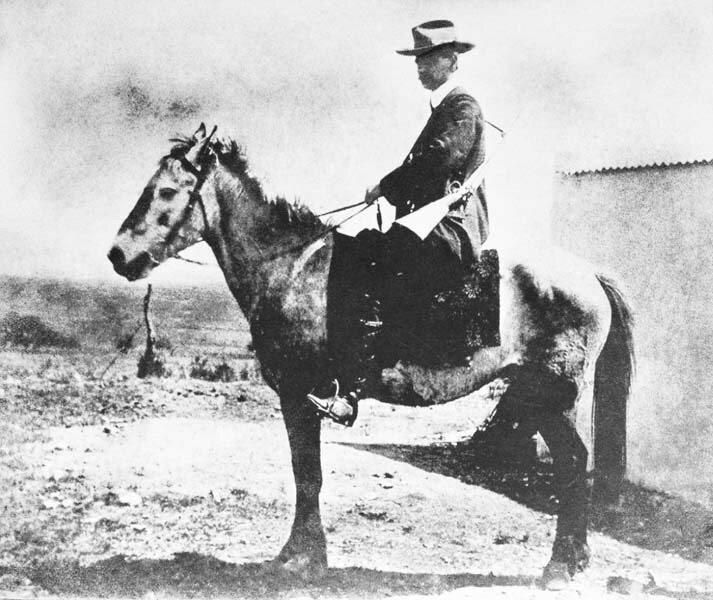 He crossed the Andes by mule, riding on dangerous mountain roads for five days until he reached the Argentine. Claude Dumbleton said of him – “I don’t think personalities of Robert Hay’s type would fit very well into our business today – he was a complete individualist who would not work in a team and, I imagine, a very, very expensive operator”. 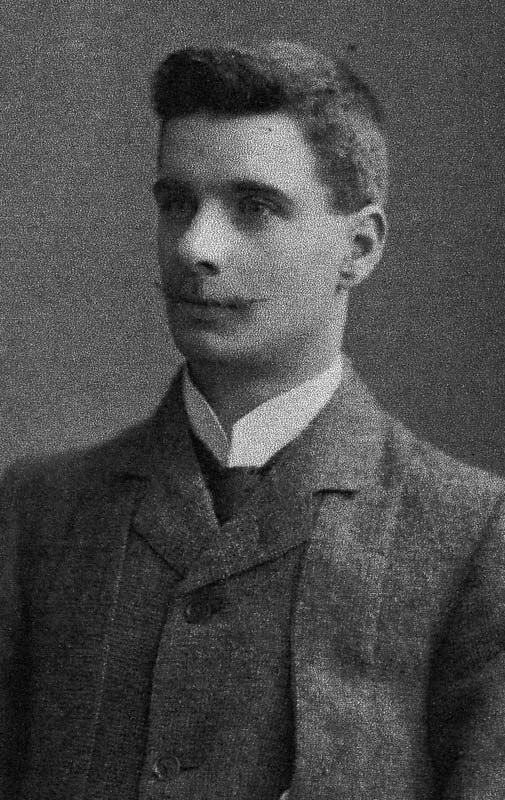 Robert Hay was a director of the company from 1910 to 1912 but left to become a director of Carson’s Chocolates before returning to Willesden later as Commercial Manager. He had rooted a Baker Perkins presence in South America that exists to the present day. The turn of a new century did not immediately create an entirely peaceful environment in which to do business in the continent. When carrying out an investigation on behalf of the descendents of Herbert "Rusty" Sands, one-time Manager of the Drawing office at Joseph Baker & Sons, Willesden, a photograph was received suggesting that as late as 1906; salesmen visiting Argentina were advised to be armed when calling on customers and to sleep with a pistol under the pillow in the local hotel. Ready to negotiate with a customer? The Baker Perkins era in the area was ushered in by Harold Crowther, (vice chairman of group management and chairman of Baker Perkins (Exports) Ltd when he retired at the end of 1966), who went to South America in 1935 to explore the market. The first biscuit plant to be exported by Baker Perkins Ltd to the area was sold to Hucke of Valpariso, Chile. Mr Crowther took the order for this on the day that Hitler’s armies were marching into Poland and the plant was supplied and erected in the early days of the war. A similar plant for Chile was built when Hitler invaded Holland. A third plant was on order for Venezuela but the war intervened and it was not delivered until peace came. After the war – he had been recalled to England to become works manager of Davey, Paxman at Colchester as part of the war effort – Mr. Crowther returned to South America for five years, returning to England in 1950 to become chairman of the newly formed Export company. He did, however continue to make frequent business trips to South America. “I travelled to Brazil in 1956 by air; a SwissAir DC6 aeroplane from London via Zurich, Dakar, Recife and Rio de Janeiro to Sao Paulo. It was the first flight I had made apart from one two years earlier from London to Paris. In fact, most travel to South America was still by sea and indeed, my subsequent travel between that continent and England was by liner which took 17 days as compared to the 27 hours of the flight. A vivid memory I have of that flight was of arrival in Dakar in Senegal in the middle of the night to be met by a wave of hot air the like of which I had never previously experienced. Although I had recently finished a spell of army life in Holland and Germany during which time I had visited France, Belgium and Switzerland, this was my first time outside of Europe. My initial impressions of Brazil were that the country was not as different or ‘backward’ as I had expected. Actually, outside of Sao Paulo, there was great poverty and illiteracy, especially in the country north of the State of Sao Paulo; that state and the states to the south had been settled largely by Italian, German and Japanese immigrants, who had brought their own cultures and to a large extent maintained them, whereas the northern states had been settled centuries earlier by the Portuguese and developed with slave labour. On arrival I shared accommodation with Alan Gelder, but after his marriage to Sylvia Ballinger, I rented a one room flat in the centre of Sao Paulo, dining mainly in local restaurants. We were not well paid and as the factory was 20 miles or so from the centre of Sao Paulo, we travelled there by bus that was invariably overcrowded, hot and often reeking of garlic and consequently on reaching my office just before 8.00 a.m. my shirt was soaking wet. Later, I acquired a Lambretta, which eased life greatly. Within Sao Paulo one travelled by lotacao (a communal taxi that ran on fixed routes at a fixed price) or by taxi. Very few locals spoke English and thus one was forced to acquire at least a working knowledge of Portuguese very quickly. I found that I became adept at giving strangers the impression that I understood more than I did, that on occasions led to embarrassing incidents. I remember in particular two instances when inspectors (and there were a myriad of them from all Federal and State Government departments) descended upon us in the factory, usually looking for a modest pay-off, when my failure to appreciate the subtleties of their approach caused some hilarious scenes. The different ethical standards which existed in Brazil as compared with those I had been brought up with came as a constant shock. For instance, one needed to employ a ‘despachante’ or broker in all personal dealings with officialdom, whether it was a simple matter of collecting a parcel from the Post Office, or something more important to do with identity cards, driving licence and exit visas, if one was to acquire what one required and I have no doubt that in every case, a douceur passed from my despachante to an official. The police were the only employees other than agricultural labourers to whom the national minimum wage did not apply, presumably in recognition that their wages were but a small part of their income! One incident I find appalling still, and this was when I left the country for the first time: one needed an exit visa to prove that one owed no tax and it was usual to use a travel agent to secure this on one’s behalf. My exit visa came back accompanied by a new small-pox vaccination certificate signed by a doctor whom I had never seen and indeed I had not requested! However, there was a recognition that Englishmen lived by higher standards. I was touched when on one occasion, having used a taxi, I found that I had mislaid my wallet. The driver, whom I had never previously met, said “You are an Englishman, so give me your address and I will collect the fare sometime.” And he did indeed call to collect it that evening. Sao Paulo in 1956 had a population of just under 5 million. Today it is over 15 million. However, my social circle was very small, consisting as it did of fellow expats. from the company, other expats. I met at the Sao Paulo Athletic Club and, at the Abacus Society, a discussion group of English speaking accountants. I had played rugby for Shelford RFC before army service and for the garrison team when in the army and hence I joined the rugby section at the Athletic Club. It was one of the few in Brazil with a standard comparable to that of a good club side in the UK with a few very good players down to those of modest ability, such as myself; it was made up of British, Australians, New Zealanders, and Italians, as well as some Americans brought up on American football and some Anglo-Brazilians. There was a large Anglo-Brazilian community in Sao Paulo, any of whom were descended from men who, in earlier years, had built and run the railways and established commercial enterprises. I met a number of them working for the banks, insurance agencies and our auditors but there was little socialising as they tended to be either much wealthier or much less well of than we were. However, in my second tour in the country I met the daughter of the owner of an insurance agency and through her saw something of the lives of the wealthier Anglo-Brazilians; she and her mother and father, had been born in Brazil, but were in many ways still very English in their attitudes and way of life. I returned to England in December 1958 but was persuaded to go back again to Sao Paulo in January 1961. On this second tour I was better paid, had the use of a company DKW car and a very comfortable flat on the Avenida Paulista which was a very good area of Sao Paulo. By this time, there were more expats. Working for the company as well as some very able English speaking locally employed personnel and as the only bachelor amongst them, was regularly entertained. However, being more senior than when there previously, I was sometimes on the receiving end of letters from Harold Crowther and Johannes Malik as well as those couched in more understanding tones from the Molins directorate. We were being visited more often too, as BAOC had by then established a weekly flight to Brazil from London. In 1961 we received a visit from Frank Austin that, in view of his background, I was asked to organize. Frank had the reputation of a martinet but I saw a very different side of his character at that time. He asked to be taken to a night club when we were in Rio and, given the wide variety of such establishments, this request gave me much food for thought. Eventually, he seemed to be pleased with an expensive up-market and relatively respectable one, with an excellent cabaret. In Sao Paulo, he asked to go to a football match, so along with 90,000 others, we went to see a local derby; he was amused to be frisked on entering the ground, but this, of course, was before football hooliganism became a problem in England. Throughout 1961 and 1962 inflation increased steadily until it was rising at around 10% per month. This led us at first to review wages quarterly, but later, in order to stop our skilled employees from moving constantly to the employer in Sao Bernardo, who in that month happened to be paying the highest rates, we moved to re-fixing wage rates monthly; all employees being paid monthly. Strikes, although not, I hasten to add, at Baker Perkins Molins, became a common event, often bringing troops onto the streets. This was accompanied by revolutionary talk and, in Rio, action in the form of isolated mutiny from some marines with encouragement from some politicians. On more than one occasion, strikes of bank employees created cash shortages; once I had to address all employees in order to prepare them for the possibility that we would not be able to acquire enough cash to pay their wages. They received the news well, although in the event we were able to persuade one of our customers to cash a cheque for us so that our 200 employees were paid! It was the combination of political and financial chaos coupled with a feeling that after four and a half years in Brazil if I did not leave then I may get ‘stranded’ there for the rest of my life that caused me to leave Brazil forever in December 1962. In fact, the political and financial situation worsened further in the year after my departure until an army coup in 1964 heralded fifteen years of prosperity and a political calm that has lasted to this day”. The 1958 Annual Report mentioned that the Company had – “entered into agreements for the manufacture of certain equipment under licence in Argentina”. "My first visits to Brazil were in 1962 when I did extensive trips as an employee of Baker Perkins Exports working from London. These visits also included Argentina, Uruguay, Chile and Peru. I met with some success as a result of which Mr Harold Crowther asked me if I would like to live in Brazil with a view to covering the whole South American market for biscuit machinery and eventually taking over the sales operation from Malik Equipamentos Industiais Ltda. I readily agreed to this but due to the worsening economic and political situation and the imposition of import restrictions in Brazil, my transfer was delayed until late 1965 when there were definite signs of improvement in the market. A small sales and service company, Baker Perkins Servicos Tecnicos Industriais Ltda, was set up in Rio de Janeiro in 1967 with Don Bellamy as Managing Partner. With the valuable assistance of a local lawyer, customers in Brazil were persuaded to present expansion projects to the various State development authorities, which, if approved, would guarantee duty free import licences and the consequent availability of foreign exchange. The mere existence of BPSTI helped to reinforce these project applications. So successful were these applications that over the ensuing decade, much equipment was imported from England. These were mainly biscuit plants and extensions and some confectionery equipment. Equipment was installed in Rio de Janeiro, Sao Paulo, Fortaleza, Maceco, Salvador and Belo Horizonte, and erected in customers’ factories by engineers travelling out from the United Kingdom. A branch office of BPSTI was opened in Sao Paulo which was entirely a Rose Forgrove operation, but due to strong competition on the packaging side, it was closed down after two years. The Foundry division at Peterborough had been operating through a separate local agent in Sao Paulo, Ashland Resinas Sinteticas Ltda, but had run into difficulties with a number of sand mixers and reclamation units stranded at Peterborough awaiting import licences. BPSTI was asked to help and because of its experience was able to explain the various procedures necessary to obtain licences and foreign exchange, which eventually cleared the backlog. However, it became increasingly more difficult to obtain licences because of strong local competition and also to justify to customers the increased cost to them of imported machines. Altogether, 1 x Basic I sand mixer, 5 x HSM 12 twin screw mixers and 1 x Sand Reclamation Plant were built. However, profit margins were low and Ashland found it was still difficult to sell the machines. Eventually they resigned and the agency was taken over by Morganite do Brasil Ltda. In the meantime, import restrictions had again been imposed and once more Brazil suffered from an economic closedown. I therefore returned permanently to the U.K. in 1979; BPSTI was kept open ‘on paper’ and itself was closed down in the mid 80s". By 1965, Baker Perkins had a branch office – for the import of group products – in Buenos Aires, Argentina. “In Brazil, as an example, 80% of the nation’s biscuits are made on Baker Perkins plant. We can only maintain this position with constant personal contact by ourselves and through our agents – building up mutual trust with the customer. Our greatest strength is in the fact that we do not merely sell a plant. We keep in close touch so that we can forecast customer’s needs and make suggestions as to how these needs can be met. Then, when a new plant is needed, we assume full engineering responsibility. We design the plant and the layout to suit that particular customer. If necessary, we design a complete factory. After the plant is installed it is up to us to show the customer how to get the best out of it. The industry is very British in character; due both to British plant and to the fact that many companies insist on British production managers and engineers”. By 1968, Baker Perkins had exported nearly 50 biscuit plants to Latin America since WW2, with well over 4,000 tons of biscuits being made each week on Baker Perkins plant. Baker Perkins biscuit plants are at work in Argentina, Chile, Venezuela, Columbia, Mexico, Peru, Uruguay and Brazil. The great majority of the biscuits made in Latin America would be instantly recognisable to a British consumer and, at that time, cream crackers were being made on more plants than any other single type of biscuit. Biscuit plants exported to Latin America carry a higher proportion of spare parts, but the factory engineer (very often an "export" from Britain himself) is a man used to a high degree of improvisation should there be a slight fault. In some of the poorer districts of Latin America, grocers will open packets of biscuits and sell them individually. The longest Baker Perkins oven in South America (at the time) is at Terrabusi of Buenos Aires. It is 347 feet long. The factory of Paulista in Sao Paulo was designed in conjunction with Oscar Neimeyer, the world famous Brazilian architect, responsible for the city of Brazilia as well as the United Nations building in New York. Fig bar biscuits are popular in Britain. The same process is used to make a similar biscuit in Brazil – using guava jelly, a common tropical fruit, instead of figs. Don Bellamy sold a biscuit plant to Bolivia in 1969 and recorded some of the problems involved: “Oruru is not one of the world’s most accessible places. It is 13,800 feet (2 ½ miles) above sea level, 200 miles from the nearest seaport, with an airstrip that can cater for small planes only. Oruru, roughly the size of Peterborough, is fairly centrally situated for travel by road or rail to the major cities of Bolivia. This was the first automatic biscuit plant to work in Bolivia and, possibly was to operate at a higher altitude than any similar plant anywhere in the world. Because of the altitude it is extremely hot during the day and very, very cold at night”. The sales negotiations were carried out after flying into Bolivia’s capita, La Paz – the highest capital in the world – and then making the 130 mile, four hour trip by train to Oruro. It is clear that existence, both for a sales representative and a process plant can, on occasions, be rather uncomfortable. A Baker Perkins company – Baker Perkins de Mexico SA – was formed in Mexico in 1970 as a subsidiary of Baker Perkins Inc.
Baker Perkins International Ltd formed a new company to serve the Latin American market in January 1971. Baker Perkins Latin America Ltd was to be responsible for all the group’s activities in the Latin American region, not including Mexico.